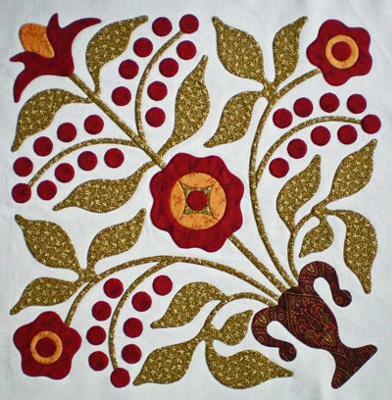 What needle should I use for machine applique? What type and size of sewing machine needle should I use to do machine applique? 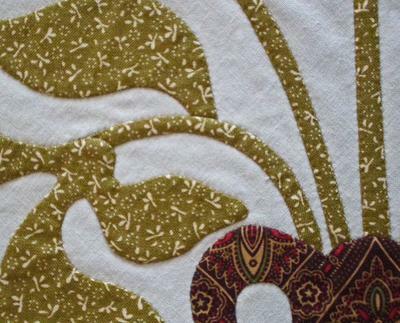 For machine applique I like to use a Schmetz Microtex Sharp needle. The size of the needle depends on the thread you are using. For invisible machine applique, I like to use a 60/8 or 70/10 because I'm using a nylon monofilament as my needle thread. This needle creates a large enough hole for the thread to pass through without friction, but small enough so as not to leave 'holes' in my quilt top. As your thread increases in thickness, you'll want to use a larger size needle. The larger needle creates a larger hole for the thread to pass through. For most needles, as the needle size increases so does the needle eye. Topstitching and metallic needles are the exception to this rule. They both have a 2mm eye regardless of the size of the needle. Because of this large eye, many use topstitching needles for most of their decorative thread stitching...this would include satin stitching and other decorative stitches that you may use to stitch down your applique pieces. For instance, for a 40 wt Sulky Rayon thread, I'd use a size 80/12 needle Microtex Sharp, though an 80/12 Topstitching would be as just as good a choice. Now, if I was using a metallic thread, I would definitely use a metallic needle. This type of needle has a deeper groove down the front of the needle to protect the thread and has a polished eye. Both of these characteristics will 'baby' the 'princess' metallic thread. If you find that your thread is shredding, switch to the next size larger needle. Shredding is a symptom of using a 'too-small' needle. The hole created by the needle is too small for the thread to pass through without a lot of friction. The thread rubs on the hole and shreds. ...having an assortment of needles on hand is a good thing if you use a lot of different types of thread in your quilts. I stock up on needles whenever I find a good price. I hope this has helped you with your choice.